Mission: Aim of the Bakhshi Polytechni College is to equip students with conceptual knowledge and functional skills required towards technology oriented world. The Bakhshi Polytechni College with its rich experience seek to integrate technical excellence and professional commitment wherein each individual must know how to reason, how to acquire and sort out information, how to imagine what can’t be seen, how to speak and write, how to translate knowledge into wise action and how to be both faithful and brave. The Krishna Group intends to take on the challenge to craft an ambitious institute, which is prepared to undertake such ambition and goal with strength, self-awareness and confidence to transform millennium youth into effective global residents. 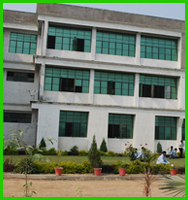 The School is situated on a spacious campus having a lot of greenery and playgrounds for various games. 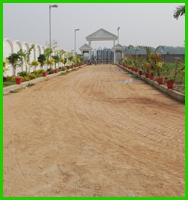 The School is well furnished and adequately equipped to meet the academic standard and personal needs of children.It also has spacious classrooms, activity rooms, Science Labs, Computer Labs and library. Besides, it provides all the modern facilities which include Generators, Water Coolers, and Transport Facilities etcThe school provides facilities of transport at reasonable rates. 2 Withdrawal from conveyance facility must be preceded by a months notice in writing or months fee in leiu of notice.